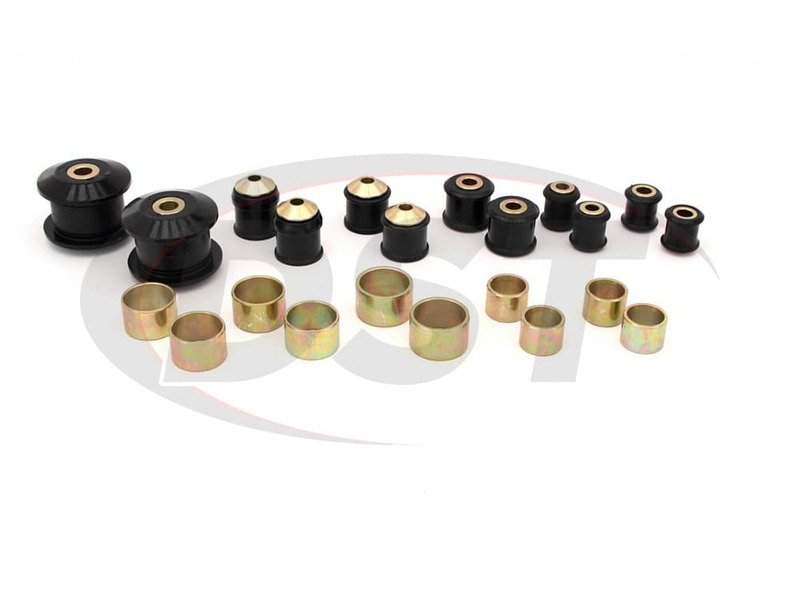 Energy Suspension polyurethane rear control arm bushings can replace the stock Ford bushings of your 2015-2016 Mustang or Mustang GT, and will help keep your rear wheels properly aligned. 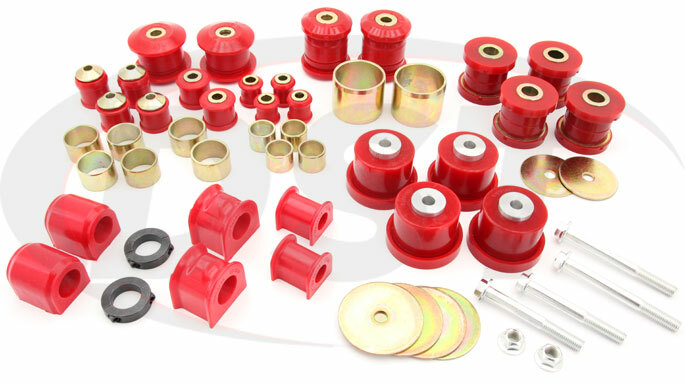 When you take a sharp turn the weight of your car body rolls to the outside and the control arms keep the wheels straight and the tires flush with the surface of the road, but the bushings that hold the control arms to the frame are made of rubber which flexes to lessen vibration. This flexing can allow the wheels to tilt with the shift in weight and shrink the already small contact patch of your tire, which can reduce the traction your Mustang gives you in a turn. 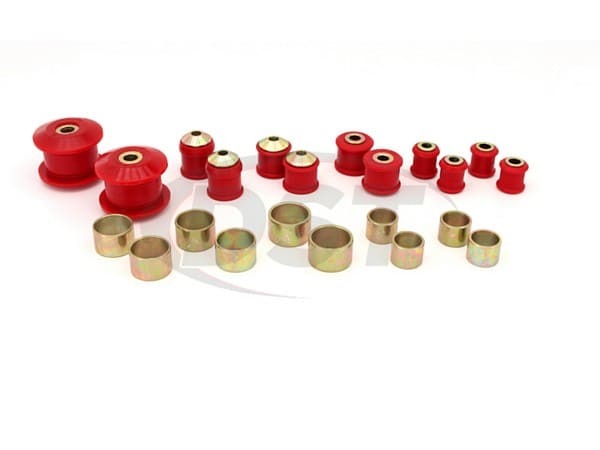 These polyurethane rear control arm bushings from Energy Suspension do a much better job of keeping your tires firmly connected to the pavement. 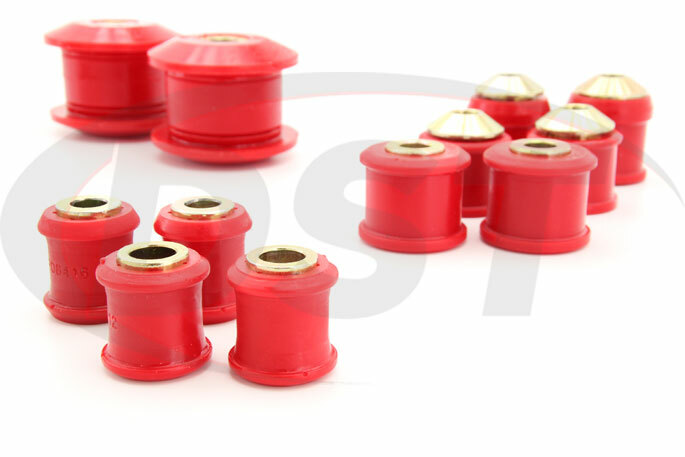 If your Mustang suffers from wheel hop when you accelerate from a dead stop or power through a turn then your rubber bushings are letting you down. 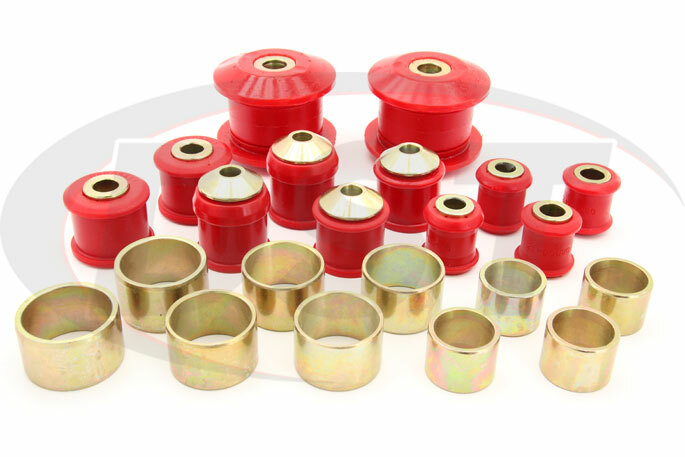 Polyurethane will keep your suspension components where they need to be and keep your pony from bucking when you give it a good kick. 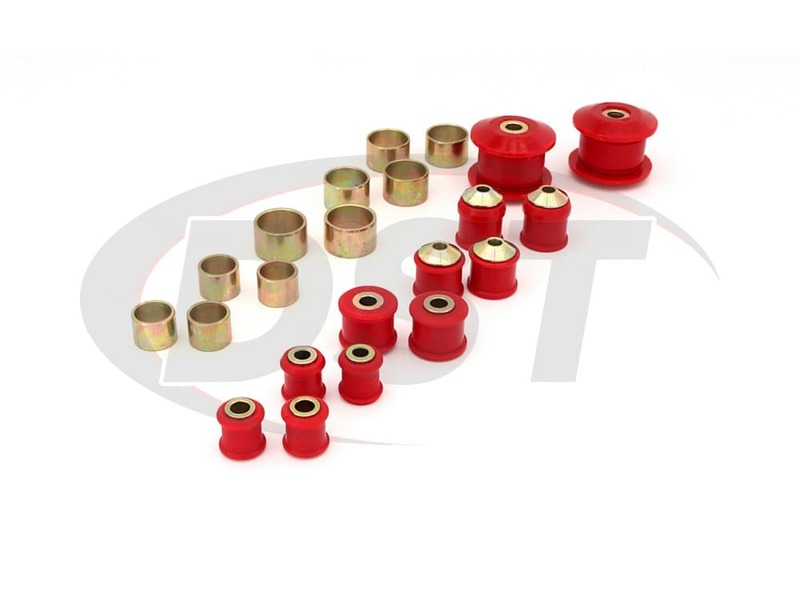 If you want to reduce wheel hop and hold your Mustang's alignment steady then these bushings will go a long way toward making that happen. 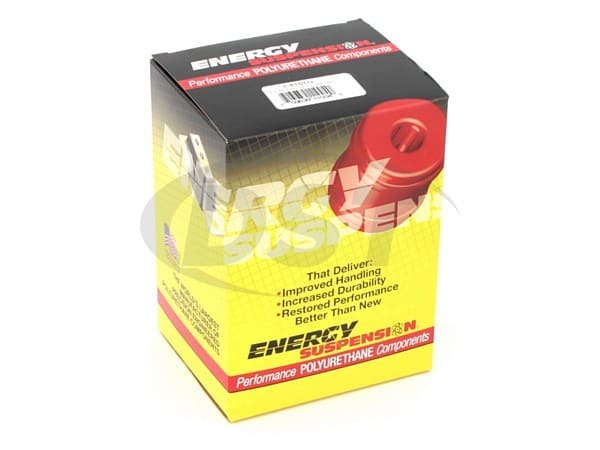 For an even more responsive driving experience from your '15-'16 Mustang or Mustang GT then check out Energy Suspension's Hyperflex Master Kit for a complete bushing replacement option. 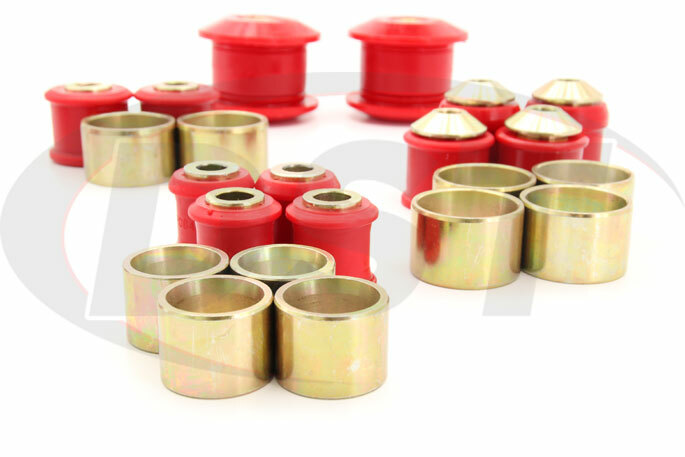 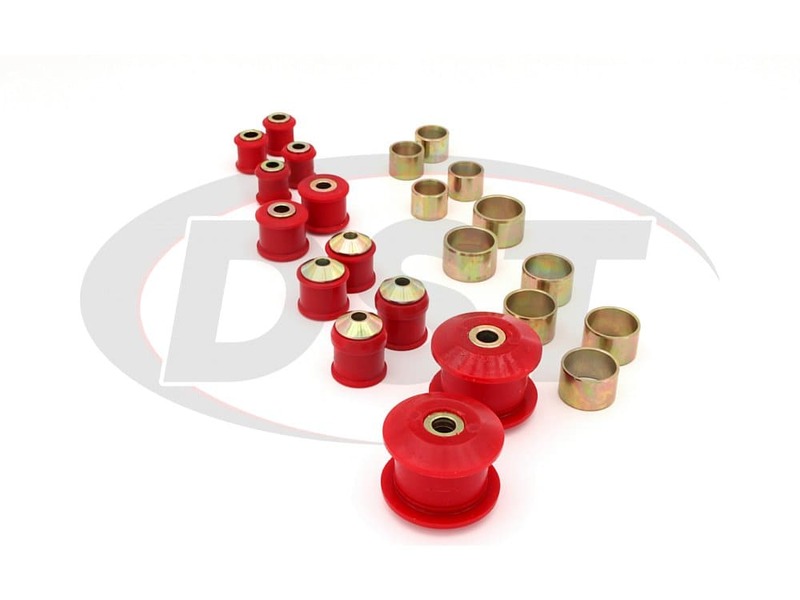 We back these polyurethane rear control arm bushings with an exclusive lifetime warranty from DST.